More and more British workers are checking their email out of hours, with 37% logging on when abroad and working during their annual leave. So how can we manage our email efficiently to spend less time checking it while we’re away? In the week prior to your holiday, clear out your inbox. A couple of purges ought to do it. For example, you can select a bunch of emails on the same topic and stick them in a folder if you’ll need them for reference. Or if you have the tool available on your system, archive them (thank you Google for Work). Tip: set a timer and prioritise by topic/sender. When time’s up, either file or archive whatever’s left. A week before your holiday (possibly longer if the work is complex), compile a status list of current projects, with what needs to happen for each one whilst you’re away. Discuss it with your line manager and agree who will cover what, then add their names to the list. Hold a handover meeting or conference call (no, not a round-robin email) with the named people and ensure they have the chance to ask you questions about what they’ll be doing (and can they email you while you’re away? ), then agree the due by date and add that to the list. Circulate the final list to those involved. Tip: this is where checklists can come in handy. Yes I know this post is about email on holiday; by taking this essential step you should end up with far less of the stuff. Most widely used email systems have the ability to set up rules that can send emails on certain topics and/or from certain senders to go straight to a folder, skipping your inbox. I find this works well for emails from people whose content I value, but don’t want to read right now – they go to a ‘reading’ folder, which is frequently purged. Some updates, such as Adam Grant’s, are the kind of thing I really enjoy reading whilst waiting for or travelling on a train/plane. I also apply the rule to anything to do with going out, holidays and shopping – they go to another folder, also regularly cleared. Prioritise the emails you need to deal with and either a) write one-line acknowledgements to get the sender off your back and say when you’ll get the task done (only if you really will get it done before you go away), or b) say when you will get x bit of it done and inform the sender who’ll be picking this up (copied in) as you’re going to be on holiday. You may want to check your employer policy on this – some are more enlightened than others (“we don’t do email on holiday here!”) Say when you’ll be back and who can be contacted in your place, if it’s about project X or project Y. Tread carefully with humour and personal disclosure; not everyone will be amused by your predicted beer consumption. If you are going to be picking up your email, say once a day, or if the mobile signal where you’re going is non-existent (bliss), say so. Set your voicemail greeting too. Many of us are addicted to our smartphones. Do you really want to spend your holiday gazing at yours? Discuss with loved ones and travelling companions how you want to handle tech on holiday. You may want to use satnav, maps or apps to explore your destination, in which case you’ll stay connected at those times. Otherwise, you can decide when you’ll go off the grid. By all means take those photos to share with your friends and family, but why not save them offline for sharing later when you’ll be back online? You may want to put all your devices in a safe in your hotel room each evening, or maybe take just one phone out with you. Switched off for the duration? Airplane mode from cocktail hour onwards? Never before breakfast? Decide what works for you. If you decide that you need to handle email whilst you’re on holiday, consider how you can limit your time with it. Some people find they need to check in three or four times per day; others are fine with one or two brief sessions to deal with it. I’m in the latter camp: before breakfast and before getting ready for the evening, each for a maximum of 30 minutes works for me (usually much less in practice – I find setting a timer really focuses the mind) and lets us get on with having fun. Friends with young kids are more disciplined, rising early to do an email update and shutting down just before the darlings wake up. Remember to set that timer. First scan what’s come in and identify the emails you need to do something about – and do it. Deal with the matter in hand but don’t be afraid to say you’re on holiday. What if something goes wrong? Depending on the severity you may want to schedule a call to clear up any misunderstandings: onerous maybe, but better than fretting on holiday or emailing in anger. Or you can reply with a step-by-step suggestion, or remind the sender that there are other people they can go to on this. If you’re being copied in on emails from your holiday cover colleagues, monitor but don’t meddle. Send a quick ‘thanks’ (if you must: beware, they may reply) and let them get on with it. Deferring may mean a quick acknowledgement and intro to your holiday cover, or the date you’ll have that paper written by on your return (schedule the task if so, to prevent post-holiday memory lapse). Delete everything else. If you’ve set up rules for routine stuff you shouldn’t have too much else that needs your attention now. Many frequent travellers find there are specific times when it’s handy to deal with email; time zones can be used to advantage. 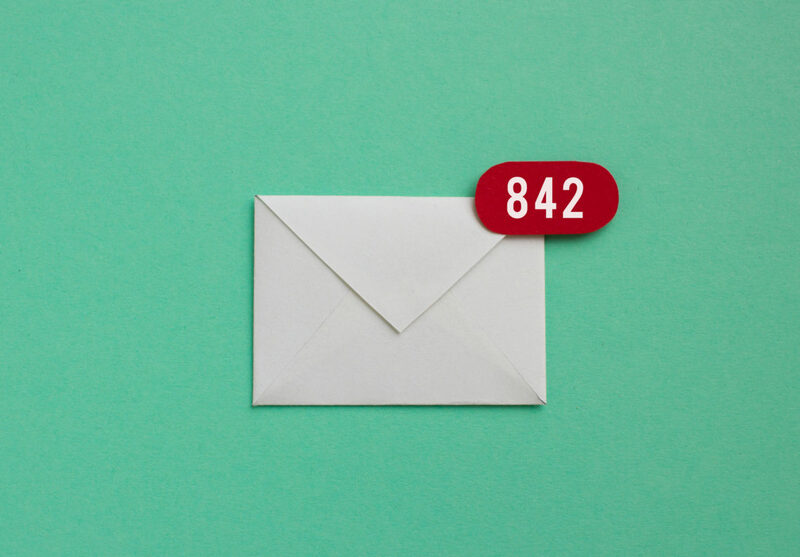 Please consider your recipients and schedule sending so they don’t get inbox notifications from you in the middle of the night (I use Boomerang for gmail; your system may have built-in tools for this). if you’ve followed point 8 above, you shouldn’t come home to an email mountain, but if you’ve let a few things pile up, it’s now another case of do, defer or delete. Catch up with colleagues on progress whilst you’ve been away and what you need to pick up right now. Be sure to say thanks to the people who covered for you.